My first console as a kid was an N64, and Ocarina of Time was one of the first games I remember owning, playing, and beating. It was my first for a lot of things; first Zelda game, first RPG, first major open world game, first real challenge as a gamer. When Breath of the Wild was announced, I (along with pretty much every other gamer out there, I’m sure) just knew that I had to have it. It managed to drag up every memory & emotion that I had ever tied to Ocarina, and just slapped me in the face with nostalgia. 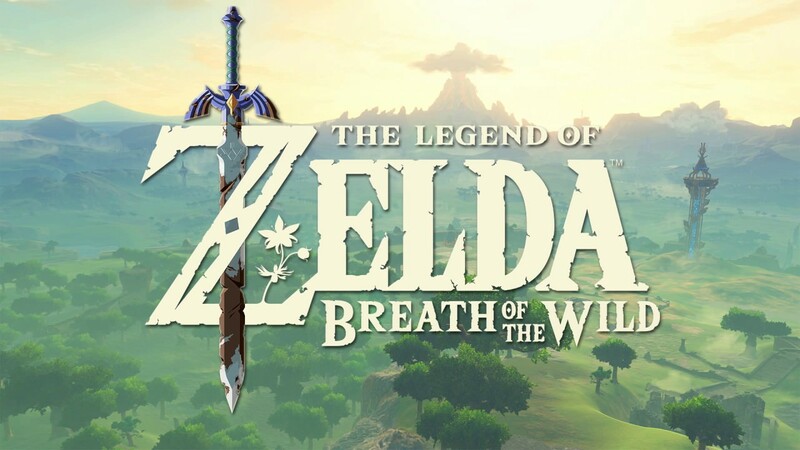 I ended up downloading it immediately upon launch on my Wii U, and I got about halfway through the story before my wife gifted me with my Switch (and Breath) for Christmas. It’s been a really long time coming, but I finally wrapped up the main quest of Breath just a few weeks ago. I’m someone that finds it extremely difficult to complete a massive RPG like this, regardless of how good the game might be, so 9-10 months (and only 2 game restarts, because honestly, who can actually remember what you did or where you were at?) is a really good time for me. This is probably a good time to address my “Time to Complete” listing. 25 hours is what it took for me to beat the main quest, a handful of side quests, complete 56 shrines (of 120), find 46 Korok seeds (of 900), and get 15 total hearts and 2+ total stamina wheels… This game is gargantuan; I’m only at a 16.79% completion percentage. So, while I completed the main quest, I most definitely did not complete the whole game. If you read or listen to other reviews, you’re going to hear descriptors like “breathtaking”, “grand”, “epic”, and “one of the best games of all time”. And they’re all right. There’s really nothing I can add along that front; only so much praise can be heaped on a pile before it seems excessive. Winning Game of the Year last year seems like it was a no-brainer for most people (although I do need to play through Horizon: Zero Dawn to properly compare). The more important question was, what elevated this game from “great” to “best of all time” for everyone? The story? The world? The cute sounds the Koroks make when you discover them? For me, the defining moments in this game all had to do with the minor nostalgia trips via items, locations, and musical themes. Oh man, the music in this game. It’s such a trip. The music when you finally beat the main quest specifically made me sit back and go “whoa”. My personal favorite, though, is when you’re riding a horse in Hyrule Field at night; the real trick is to get to the good parts before you stumble across a Guardian and the track changes. Apparently Kass, the accordion-playing Rito, also has a metric ton of music beyond his stable theme that I have yet to discover. Breath of the Wild clearly adheres to the tried & tested questing method of “go to place, do a small task so you can progress the big task, do the big task, to go next place”. To beat the main story properly, you really only need to complete (by my really rough count) 7 “big” tasks (glider, Kakariko Village, each Divine Beast, Calamity Ganon). Breath’s trick is spacing those throughout the world, and giving you so much ground to cover, that you’re bound to stumble upon numerous shrines, seeds, and side quests along the way. There are many accounts of people who have dumped multiple hundreds of hours into this game, whether they’re going for a 100% completion score, finding creative ways to complete shrines, or soaring across the map. While those aren’t necessarily my vibe, I can definitely see myself returning to this world to complete the main quest over and over again. Did you enjoy this review? Did I skip anything important? Do you want to tell me how wrong I am? Use the hashtag #BreathReview when you message me on Twitter and let’s chat! Written on August 23, 2018. Posted under Review, Switch.